Two mountain lions seen jumping, sauntering and otherwise being mountain lions in suburban Palo Alto at two separate locations Saturday night likely were the same big cat, police said Sunday. A woman startled a mountain lion around 8 p.m. as she drove down the 600 block of Wildwood Lane, and the big cat took off like a rocket, hopping the fence into her backyard, she told police. "Right in front of us was this large cat; it was about the size of a large dog," resident Nancy Shulman said. "He walked over to our neighbors property" and jumped over a fence into the backyard, she said. Officers searched the area, which is about three blocks from San Francisquito Creek, but couldn't find the big cat, police said. About three hours later, another woman on a walk in the 700 block of Sutter Avenue saw a mountain lion apparently out for the same purpose. The animal didn't show any aggressive behavior, she told police. Officers searched the area immediately adjacent to Matadero Creek, to no avail, police said. The sightings were within about a mile and a half of each other, and officials said it likely was the same cat, according to police. 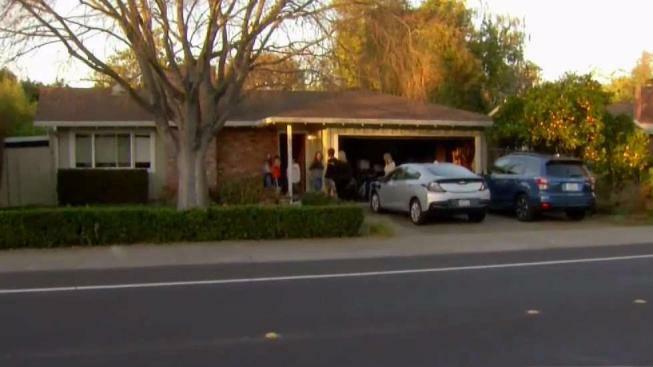 "Our officers searched both neighborhoods extensively and remained in the neighborhoods throughout the night and into this morning," Palo Alto police Capt. Zach Perron said. Officers beefed up patrols in both neighborhoods overnight and stayed in the area Sunday. Officers also notified animal control officers from Palo Alto Animal Services and park rangers from Palo Alto Open Space. Generally, mountain lions are calm, quiet and elusive, according to an information page on the city of Palo Alto website. They are most commonly found in areas with plentiful prey and adequate cover, conditions that exist in mountain subdivisions, urban fringes and open spaces. As a result, the number of mountain lion sightings has increased. If a person sees a mountain lion, the first rule is not to approach the animal, the city said. "Most mountain lions will try to avoid a confrontation. Give them a way to escape," according to the city. Also, the city advises residents not to run from mountain lions, because this might set off the animal's instinct to chase. More tips can be found on the city website. NBC Bay Area's Marianne Favro contributed to this report.